We start our children’s programs when they reach 5 years of age. Our young students are invited to join our motivating and supportive environment to begin learning Brazilian Jiu-Jitsu fundamentals. We aim for them to gain priceless self confidence, a ‘Never Give Up’ attitude, discipline and respect towards their peers. Our children’s classes are based on a structured belt grading system with attendance for each class. BASICS Most of our children begin here, sometimes we use this as an assessment to see which is the best class suited to them. INTERMEDIATE With assessment and when the children are ready they are invited to join this class to progress their learning further. ADVANCED This class has most of our older children who have been training for many years. 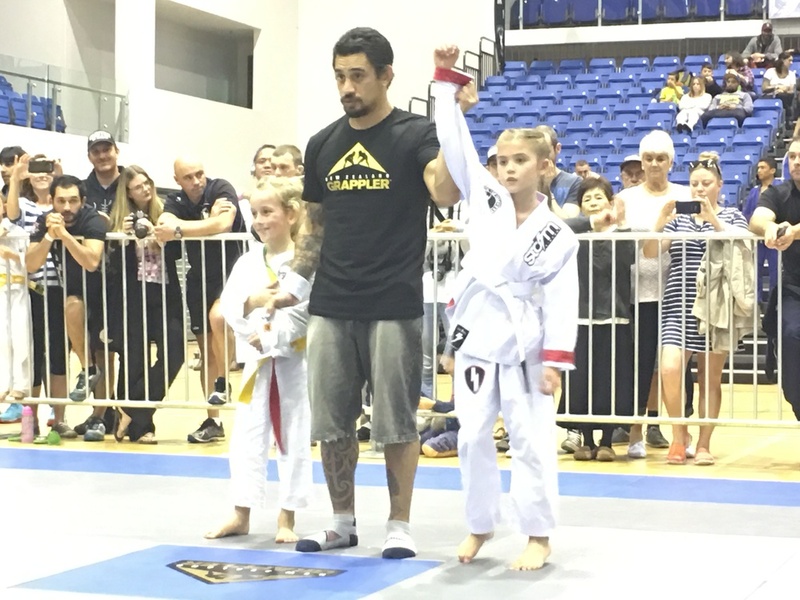 These children are very involved in BJJ competitions. Children will join this class by invitation only. Our children’s classes run during the school terms, taking a break during the school holidays. We do limit the numbers in our classes, if you are interested in having a trial class for your child please contact us. We usually only accept new children into classes at the beginning of each term. Jiu jitsu is amazing for kids (and adults) because they will develop bonds with their training partners. Eventually your training partners turn to family, and I can’t think of anything much more positive than that.